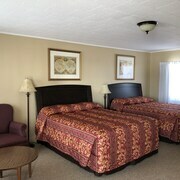 Situated in Wingham, this motel is within 32 mi (52 km) of Black Horse Golf, Walkerton Golf & Curling Club, and Cove Beach. 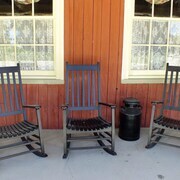 Situated in the business district, this motel is 7.1 mi (11.5 km) from Palmerston Railway Heritage Museum. The breakfast was excellent and my kids loved the pool! Rooms were quiet and clean. Staff were friendly and helpful. Where to find Wingham hotels near an airport? 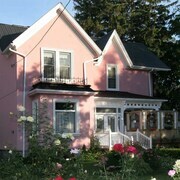 Where can I find hotels in Wingham that are near tourist attractions? There are no Expedia accommodation options in Wingham, so the best option is to stay in one of the 4 hotels within a 0.1-kilometre (0.06-mile) radius. 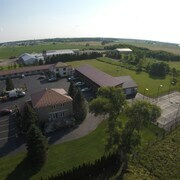 The nearest Expedia hotel is the Best Western Plus Walkerton Hotel & Conference Centre, Ontario, which is 30 kilometres (19 miles) from downtown Wingham. 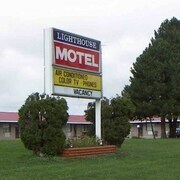 Alternatively, you could check out the Lighthouse Motel, located in Ontario, which is 25 kilometres (17 miles) away. 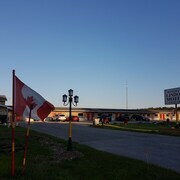 The Walkerton Inn Motel is located 30 kilometres (18 miles) from downtown Wingham. 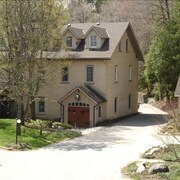 30 kilometres (19 miles) away is the Hartley House Hotel which is another option. Why not investigate the other attractions to be found in Southern Ontario while you are in the region? Investigate Southern Ontario's traditional villages or admire the region's beaches, coastal plains, forests and lakes. Common activities in this part of Canada include skiing. Looking for things to do? 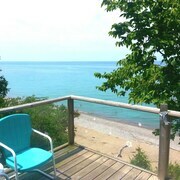 Why not spend the day enjoying Station Beach and Kincardine Lighthouse, in Kincardine, 40 kilometres (25 miles) to the northwest of Wingham. 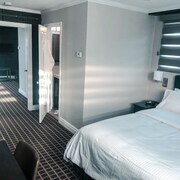 Some of our recommended Kincardine hotels and accommodations include the Holiday Inn Express Hotel & Suites Kincardine - Downtown and Best Western Plus Governor's Inn. Or, you could stay in Southampton, 65 kilometres (42 miles) to the north of Wingham, where you can choose from the Quality Inn and North Shore Cottages. If you're staying in Southampton, set aside some time to visit the Saugeen Golf Club and South Port Golf Course. Just because you are far from home, doesn't mean you can't indulge in your love of sporting events. You will find Alumni Stadium 95 kilometres (59 miles) to the southeast of Wingham. For those who are keen on booking a room nearby, make a reservation in the Delta Hotels by Marriott Guelph Conference Centre or Holiday Inn Guelph Hotel and Conference Centre. Why not visit our up-to-date Wingham travel guide and learn about the many things that this part of the world offers visitors. What are the most popular Wingham hotels? Are there hotels in other cities near Wingham? 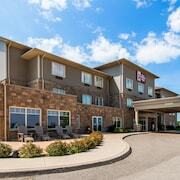 What other types of accommodations are available in Wingham? Explore Wingham with Expedia.ca’s Travel Guides to find the best flights, cars, holiday packages and more!